Requiem for a Dream on VHS video. A ‘For Your Consideration’ copy with different cover. Movie starring Ellen Burstyn, Jared Leto, Jennifer Connelly, Marlon Wayans, Christopher McDonald. Based on the novel by Hubert Selby Jr. Directed by Darren Aronofsky. 2000. 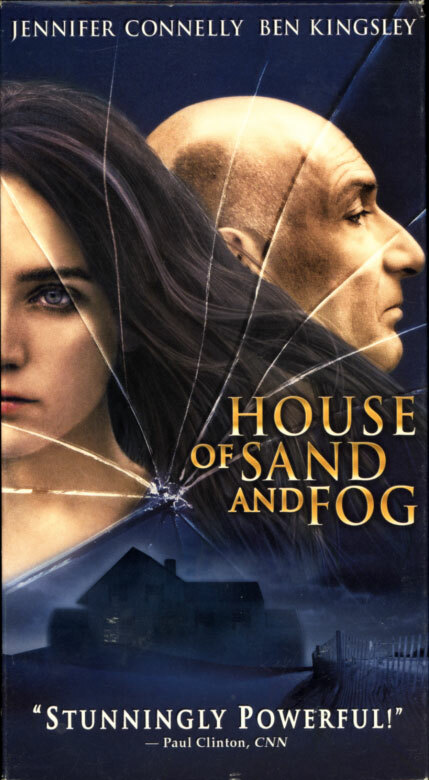 House of Sand and Fog on VHS. Starring Jennifer Connelly, Ben Kingsley. With Ron Eldard, Frances Fisher, Kim Dickens. From the novel by Andre Dubus III. Directed by Vadim Perelman. 2003. Academy Award winner Ben Kingsley and Jennifer Connelly deliver stunning performances as two strangers whose conflicting pursuits of the American Dream lead to a fight for their hopes at any cost. What begins as a struggle over a rundown bungalow spirals into a clash that propels everyone involved toward a shocking resolution. 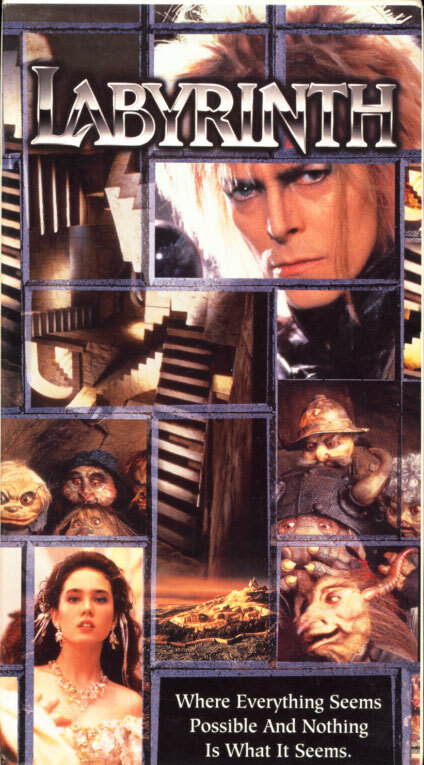 Labyrinth on VHS. Starring David Bowie, Jennifer Connelly. With Toby Froud, Brian Henson, Christopher Malcolm. Directed by Jim Henson. 1986. Frustrated with baby-sitting on yet another weekend night, Sarah — a teenager with an active imagination — summons the Goblins from her favorite book, “Labyrinth,” to take her baby stepbrother away. When little Toby actually disappears, Sarah must follow him into the world of the fairy tale to rescue him from the wicked Goblin King (Bowie)!